Our body representation and sense of self is constantly updated starting from the integration of different sensory inputs. Synchronous bodily stimulation has been used to manipulate sense of self, and can be applied to user experience design. This study manipulated multimodal stimulation to test factors potentially affecting mood and interpersonal closeness. 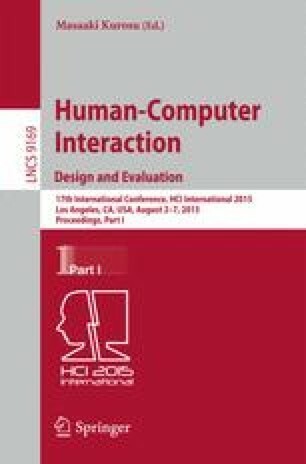 The independent variables were: (1) the presence or absence of a haptic device (neck massager) on the participant; (2) the presentation of one of two videos, in which an actor expressed either energy or calmness while wearing the haptic device; and (3) the pre- and post-intervention time factor. The results showed a main effect for time for all dependent variables. A three-way interaction effect was evident for the measures of calmness and interpersonal closeness. The greatest reported increase in interpersonal closeness occurred in the haptic-energy video condition, an effect that was consistent with one of the study’s hypotheses. The author thanks Dr. Stephen Gilbert for advising and supporting her Ph.D. studies, as well as Dr. Peter Martin, her advisor as she pursued her Masters (the source of this research). She is also grateful for the financial support provided by the Human Computer Interaction Graduate Program and the Department of Human Development and Family Studies at Iowa State University.